A closing conference for the project ”For Youth Health” which received support under the Norway Grants was held on 20 September 2016 at the City Museum of Ljubljana. The project was implemented by a partnership of youth organisations in association with the leading national health organisation and multimedia organisation. Slovenian Catholic Girl Guides and Boy Scouts Association, Youth Association No Excuse, Scout Association of Slovenia and National Youth Council of Slovenia joined forces with the National Institute of Public Health and the National Public Broadcasting Organisation RTV Slovenia to reach out to young people. The overall aim of the project was to promote healthier lifestyle in children and young people through different activities applied across multiple settings and tailored to local environment. The first step of the project involved the experts of the National Institute of Public Health who prepared baseline analyses dealing with major youth-related issues in Slovenia. The next step was to provide a number of training courses targeting health trainers and promoters. The latter developed and implemented more than 50 local healthy lifestyle promotion programmes guided by the principle ”the young for the young” which included more than 8,500 young people, primarily schoolchildren in final three grades of primary school and secondary school children. Special attention was given to children and young from disadvantaged backgrounds, who were given the opportunity to attend a healthy lifestyle camp. The camp’s primary goal was to help campers raise their self-esteem and learn the tools necessary to lead a healthy lifestyle. Also, family camps were organised and the Manual for Health Promoters as well as the publication As Healthy as a Trout published as part of the project. The latter is a collection of different programme tools for promoting healthy lifestyle behaviours among young people. The project also touched on a relatively new area of social marketing for the purpose of searching for new approaches to changing old habits and building up new ones that stick and to shaping young peoples’ attitudes. The public broadcaster RTV Slovenia played an important role in communication and publicity by getting the message of how important it is for young people to lead a healthy lifestyle across to the audience. It also provided tremendous media support and coverage of the project via its interactive multimedia portal and radio, and by having the project featured in the youth TV programme Infodrom. 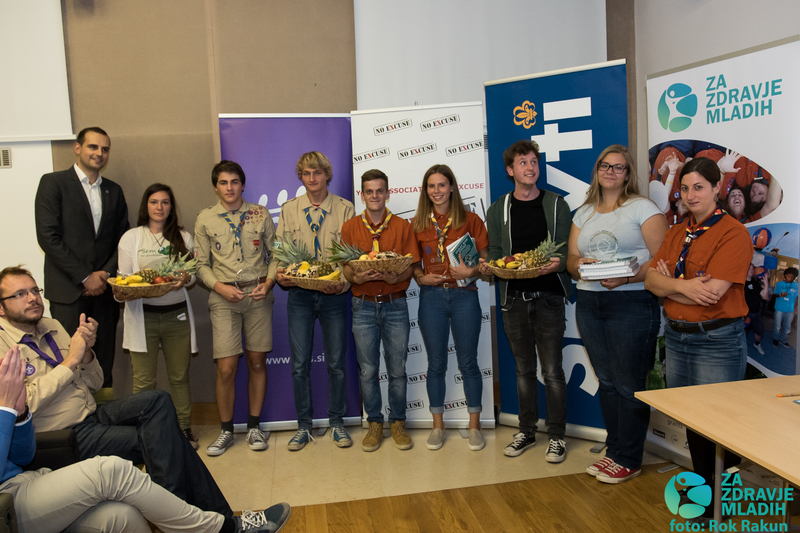 The closing conference was an occasion for awarding the title ”health promoter” to 84 young people and selecting top 4 local programmes, while the Slovenian youth sector and the Office of the Republic of Slovenia for Youth signed a joint commitment to act collectively in the area of health. ”For Youth Health” is just one among many projects who have seen successful completion and whose outcomes and outputs have been followed by our Facebook page.